I visited Dehradun after ages, the last time I came here was when I was in school. I remember, dad bringing mum and me here and we met up with some of his coursemates where they relived their good old memories from the Indian Military Academy. Cut to present day, 2018. The drive from the airport to my friend’s house gave me a glimpse of the random development taking place in this hill town. Sadly, the virus of urbanisation and concrete jungle hasn’t spared Dehradun too. There was a time I used to think that we’re too old to make friends. But I guess I was wrong. After a divorce, when I came back to Mumbai, leaving everything behind, especially some very good friends, it was a task. But then life had a pleasant surprise for me – I bumped into a wonderful lady and her toddler who was barely 5 months older than mine. We met at a park four years back where our two little diaper baby girls bonded over a colourful plastic ball. The rest was history – with time, we became really good friends and so did our little girls. We’re so glad that both our daughters found a childhood friend in each other which we know is going to be a bond for a lifetime. After coaxing me for years to visit her hometown, I finally made a trip to Dehradun with my daughter. We were welcomed with the love and warmth the moment we entered the sprawling gardens of her house. The first thing I told my friend, “How come I didn’t visit you earlier?” and she laughed which said ‘I told you so…’. 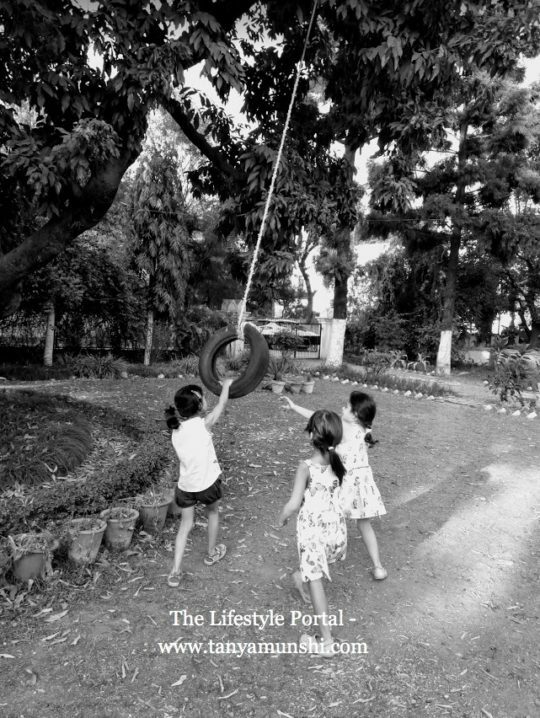 As the girls bonded over playtime in the garden, plucking chikus and plums and swinging by the tyre of the large litchi tree, collecting pebbles as if they were little treasures…I would silently sit around and watch the carefree precious moments of childhood. I took a stroll in the garden while relishing a sense of a calm and joy that was seeping through me. Watching my little girl play carefree with her hair let loose and giggling and laughing with her childhood friend and her cousin sister in the beautiful garden, it was absolutely healing for my soul. I want to gift my daughter experiences. I know, at times I am guilty of not buying her enough toys, but I hope when she grows up, she’s forgiving of her mum who worked twice as hard to give her a good life, a good education and to take her out on holidays. I want her to understand that there is a life beyond the four walls of a city we live in; that there are cultures and families and traditions in other parts of the country and the globe too. I want her to rejoice and revel in the journeys as nothing is a fantastic a teacher than the journey and travel itself. Freshly plucked plums from the garden…could I ask for more happiness? I always try and visit a new place or two every year with my daughter. Ever since my divorce came through, and I began picking up the pieces of my life, I restarted my life with the things I loved doing and one of them is to travel. Well, I don’t travel like most travellers do, but I try to do whatever possible within my capacity. Now since I have a child, I have to tailor make my trips suiting to a mother and child travelling alone. So far, I have been planning trips to places where there are friends/ cousins who have kids. 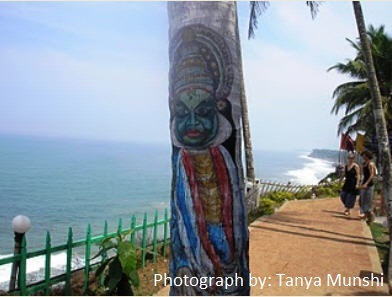 It’s important for kids to travel and meet other kids in other parts of the country, to understand the various cultural nuances and ways of life. As we relax under the fan in the summers, the beautiful heritage house keeps us cool from the harsh heat outside. Peering through the lace curtains and watching the world go by, I feel a slight pang of pain in my chest as to how I miss the slow pace, the calm, quiet and simplicity in a city life. I recall the lines from the song “Everyone’s free to wear sunscreen”, by Baz Luhrmann where it says – “Live in New York City once, but leave before it makes you hard – Live in Northern California once, but leave before it makes you soft”– well having tasted both the city and the countryside, I think I have made my choice. If you see me living in a cosy cottage in an Indian countryside, don’t be surprised, just know that I have made my choice.